(Left to right) Chloé Lo Faro, Katrina Johnson, Peter Galloway, Jake Michael, Jacob Nishimura, Elly Bengtsson, and Owen Daniell celebrate a day of victories at the Sunday River Race last weekend. 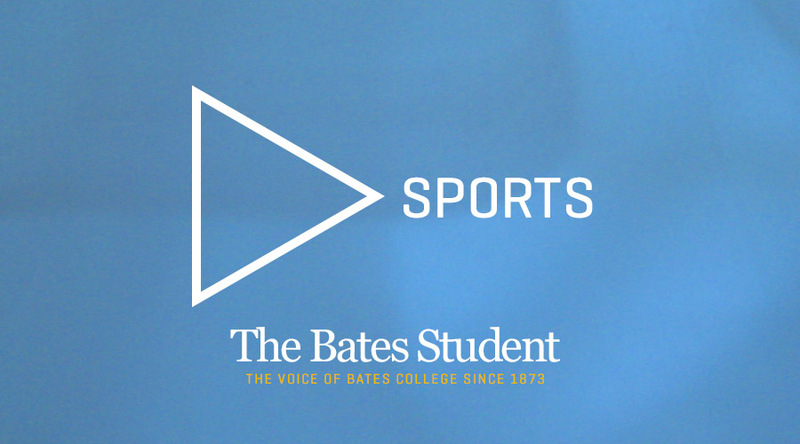 The Bates Student (BS): How would you describe the Competitive Ski Club to a Bates student who has never heard of it before? Elly Bengtsson (EB): Well, it’s a club for people who have raced in the past and want to continue in college, or for people who enjoy skiing and want to start racing. All levels of experience have a place on our team…The club really starts with a ski camp in December, with returning skiers and newcomers all meeting each other and doing activities together. There’s multiple ski events you can do, like the slalom and “GS” [giant slalom] …Then we have two months of racing on weekends and practices twice a week on Tuesday and Thursday at 4:15, meeting in back of Chase Hall. It’s all students; we don’t have a coach…This is an opportunity open to anybody at Bates. BS: How did you first get started in the Club Ski Team? EB: I knew that I wanted to do something like this in college, because I had raced in high school and wanted to continue it at Bates. I did an online search before even coming to campus, and I found it in the college’s club [directory] webpage. I saw that the club’s over a decade old, and that made me feel confident knowing it had been around so long. BS: What is your favorite part about being on this team? EB: Oh, there’s so many…first, the people on the team are great. It’s so much fun to work together, especially when you get to see other skiers improve. It can be crazy seeing how much better somebody gets since they first started…Another awesome part of club skiing is that we get to set up and make our own training courses at Lost Valley, which is difficult but fun. We have to lug the drill, drill-bit, and gates up and down the hills. Then everybody of all abilities gets to try their best on these courses that we made…Racing at the level we do is also good. We race in the Reynolds Division of USCSA, which is D3 instead of D1, which I think gives us just the right amount of competition. BS: How many races have you had so far? How do you feel about them? EB: We’ve had six races this winter. 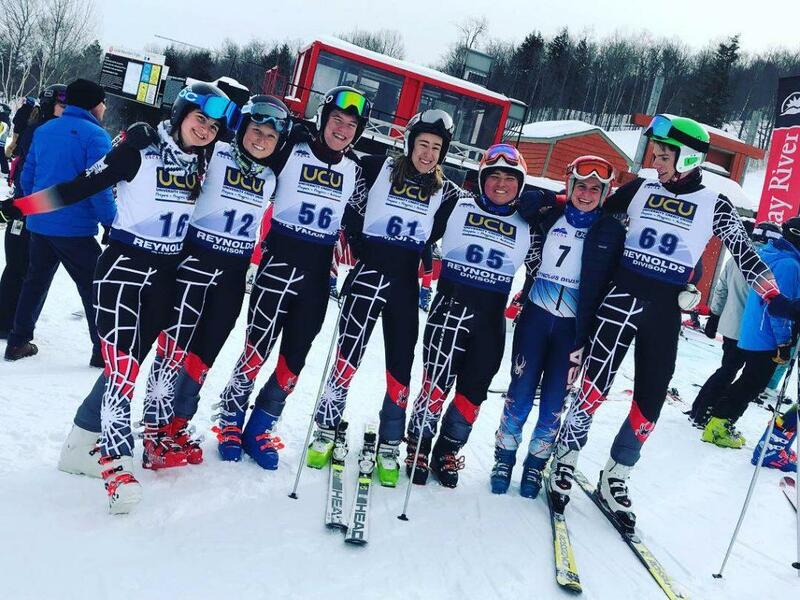 [Two races ago] the women’s team had their first win, coming in first out of 17 teams at Sunday River, with three Bates skiers in top five! Yeah…As for whole team has been doing through the season, it’s hard to say. Different people show up to each race day. We bring whoever wants to come that day. So there has been improvement, but a lot of it is seeing skiers surprise everyone by showing their various strengths. Other people show more consistency, and that’s good, too. EB: We only have one more race, which is a panel slalom next Saturday. It’s extra exciting because they’re going to announce who wins the Reynold’s division. We weren’t even expected to be in the running for winning the division, but now it’s become a serious possibility. This is even more impressive because we don’t have a ski coach. I can’t wait to give it our best on Saturday! BS: Is there anything else you would like to say about Club Ski? EB: In addition to the club website on the Bates page, we have an Instagram. Anybody who wants should check it out, especially first-years and sophomores; starting earlier means you can have a lot of improvement…I hope that people continue to come out and ski at our practices. Everybody is welcome, and we are always looking forward to having people on the team with lots of energy and enthusiasm.